Gospel Oak in NW5 is located on the southern edge of Hampstead Heath, between Hampstead and Dartmouth and Tufnell Parks. 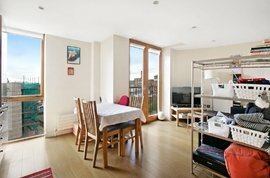 It's an area often overlooked, but Gospel Oak is a haven of period properties with favourable prices compared to more well-known neighbourhoods. 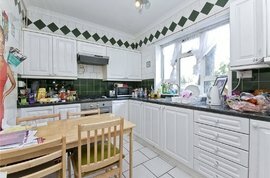 Why not browse our collection of properties in Gospel Oak? 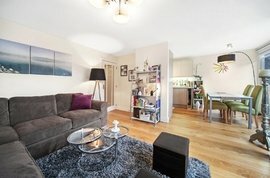 Convenient for the City as well as the West End, Gospel Oak attracts a wide variety of home movers, including young professionals, families and downsizers. The period character of many Victorian and Edwardian cottages in Gospel Oak is protected by the Mansfield Conservation Area, bordered by Roderick, Savernake and Mansfield Roads. The red-brick mansions of Lissenden Gardens are dotted with blue plaques commemorating former residents, including one marking the birthplace of British literary giant John Betjeman. Long before the area became largely residential, the God-fearing parishioners of the area gathered under an oak tree to hear an annual gospel reading and this gave rise to the name of this London locale. The famous tree has long since vanished but rumour has it that the founder of Methodism, John Wesley, preached from beneath its boughs. Development of Gospel Oak began in the mid-19th century funded by the local landowners: Lords Mansfield, Southampton and Lisburne. Their plan included elegant streets leading off Lismore Circus but new railway lines scuppered their original plan and the first buildings were actually modest two- and three-storey cottages for the local workers. More salubrious additions to the housing stock were made in the years that followed, helping elevate Gospel Oak's residential status. The residential corners of Gospel Oak feature a number of cosy corner cafés and coffee shops but those looking for substantial refuelling after hiking on the Heath head towards the gastropubs and growing number of chic restaurants on Highgate Road. Ristorante Rossella is a very popular restaurant, with locals often booking tables weeks in advance. This snug, family-run trattoria offers a warm welcome and simple authentic cuisine with Neapolitan influences. Highly popular as a watering hole is the Southampton Arms, renowned for its Dickensian decor and excellent selection of beer and ciders sourced exclusively from independent UK breweries. Also favoured is the 19th-century coaching inn The Bull and Last - an award-winning gastropub offering hearty roasts and comforting puddings surrounded by architecturally interesting panelled walls. Gospel Oak train station is on the London Overground network, with direct trains running to West Hampstead, Highbury and Islington (where passengers can connect with the Underground), Stratford and Clapham Junction. Gospel Oak also enjoys excellent bus links to North and Central London, and the area is a ten minute walk from Belsize Park and Tufnell Park stations on the Northern line. Gospel Oak borders a section of Hampstead Heath with its running track, tennis courts and swimming pool. Tennis courts are also available in a small recreation ground on Lawn Road near Belsize Park. A stone’s throw away from Gospel Oak train station is the famous Parliament Hill Lido, a 61-metre unheated open-air pool open all year round for brave and hardy swimmers. A 20 minute stroll from Gospel Oak is Waterlow Park. It occupies a dramatic sloping site overlooking the city and was given to Londoners by Sir Sidney Waterlow as a 'garden for the gardenless'. The open space retains a sense of 'secret garden' charm, with tree-lined walkways and ponds on different levels, making it one of London’s finest landscaped parks. For the artistically minded, the famous Roundhouse Arts Centre and 176 Gallery are less than 15 minutes’ walk from Gospel Oak. The Oak Village enclave is the place to head for period properties for sale in Gospel Oak, where the post-WWII demolition team spared some of the character homes. 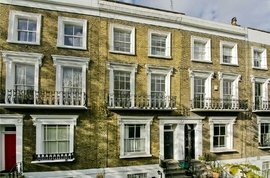 Mansfield Road and Parliament Hill remain most coveted when it comes to houses for sale in Gospel Oak. 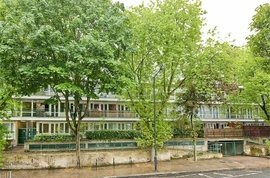 A splurge of estate-style house building took place in NW5 from the 1940s, and many of the resulting flats provide excellent value entry level points into the North West London property market. One of the most requested estates is Dunboyne Road, while Haverstock Road and the Lismore Circus estate are good spots for ex-local authority properties. 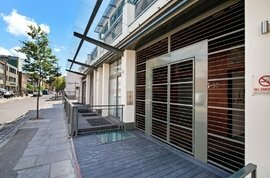 Gospel Oak is part of Camden Council's pioneering step into the private property market. The redevelopment of Bacton Low Rise estate will yield a new mixed-tenure residential quarter, with 176 properties for private sale, ten shared ownership units, 105 new council houses, an improved public realm and new landscaping.